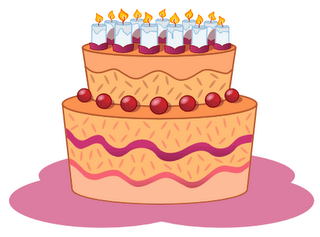 So I'm inviting you all to some virtual cake! Not sure how much celebrating and partying will take place tonight, I have a crack-of-dawn flight to catch tomorrow! Right now, the plan is dinner with friends...But maybe I'll decide to pull an all-nighter and go straight to the airport...Hmm...Dunno....I think I've become too old to recover from something like that! A video of accidents in Dubai...Moryarti is right when he calls them "morons on wheels", because these people really are morons! I am so absent-minded these days! 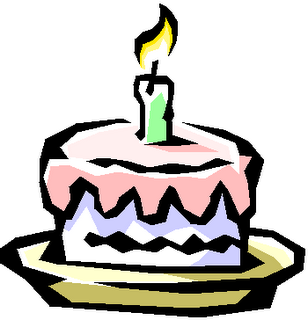 I completely forgot about the 1-year anniversary of my blog, despite the fact that NZM reminded me about it a few days before! November 12th marked the 1-year anniversary of my very first post. I can't believe it's already been a year! How time flies! I know I haven't been posting much lately. I've just been uninspired for some reason...It'll come back soon though, I'm sure. 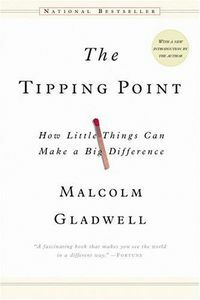 The Tipping Point by Malcolm Gladwell, a writer for the New Yorker Magazine, is a must-read. It explores why certain things suddenly take epidemic proportions, seemingly overnight. Through a series of concepts, Gladwell takes us through several examples of why some changes happen so quickly, such as the sudden popularity of Hush Puppies, just as the company was practically facing bankruptcy; or why crime suddenly dropped in NYC in the mid-1990's. A world that follows the rules of epidemics is a very different place from the world we think we live in now. Think, for a moment, about the concept of contagiousness. If I say that word to you, you think of colds and the flu or perhaps something very dangerous like H.I.V. or Ebola. We have, in our minds, a very specific, biological, notion of what contagiousness means. But if there can be epidemics of crime or epidemics of fashion, there must be all kinds of things just as contagious as viruses. Have you ever thought about yawning, for instance? Yawning is a surprisingly powerful act. Just by reading the two yawns in the previous two sentences--and the two additional yawns in this sentence--a good number of you will probably yawn within the next few minutes. Even as I'm writing this I've yawned twice. If you're reading this in a public place, and you've just yawned, chances are that a good proportion of everyone who saw you yawn is now yawning too, and a good proportion of the people watching the people who watched you yawn are now yawning as well, and on and on, in a ever-widening, yawning circle. So how many times have you yawned? Gladwell also has a blog, if you feel like checking it out. Now onto my next book! I never thought I'd say it...but I really do miss winter! Dinner that night was at Ocean's, at the Royal Meridien hotel, with some friends. 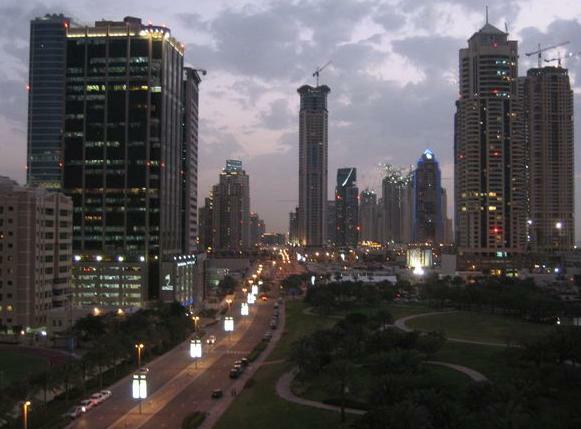 For those who don't know Abu Dhabi, Ocean's is a seafood restaurant /bar, and we usually go there for drinks. I had dinner there once before a year ago and I wasn't too impressed with their seafood. I decided to take the steak (yes, steak at a seafood restaurant...shame! ), and it was really good! We decided to linger on after dinner to hang out with the rest of Abu Dhabi (Ocean's is located next to Sax, and both places are the only decent nightspots in the city...so, naturally, all the young Abu Dhabi crowd congregates there every weekend). The following morning I was up at the ungodly hour of 8:30, so we could make it on time for our boat which was supposedly departing at 10:00AM. We were there at 10 sharp, but of course, we didn't leave until 11:30. I didn't expect the boat to leave on time, but an hour and a half late is just ridiculous! It was one of those huge party boats that can fit around 90 people. We headed towards an island around 30 minutes away from Abu Dhabi. The weather was just perfect and the sea absolutely stunning (of course, I forgot my camera). Six hours later, after lots of drinking (some started drinking the second they set foot on the boat...how? Drinking beer before 12PM is just wrong! ), a good barbecue and average music, we headed back, with the most amazing breeze and gorgeous sunset for a backdrop (what more can you ask for?). Needless to say, I couldn't wait to get into bed that night! The following morning, it was shopping time. I am in desperate need of some clothes, so I decided to spend some of my hard-earned cash...But there are very few decent stores in Abu Dhabi...I should shop in Dubai more often, although I find that in both cities, stores cater to teeny boppers much more than to 20-something professional women....Anyway, I did find a few things, so my shopping trip was not a complete waste (my sister, who did "not want to buy anything", ended spending more than I did!). After that it was a big family lunch with some visiting relatives, coffee with them at The One (I really like their coffee shop...it's nice and comfy), then home to get ready for dinner that night. Dinner was at Finz, another seafood restaurant, this time at the Beach Hotel. I love the Beach Hotel, it's one of the nicest hotels in Abu Dhabi in my opinion. It's classy without being over the top, it has a wide variety of restaurants, and they all range from good to very good (my favourite so far being Rodeo Grill which has the best steaks EVER!). Finz is also a good place, although they've changed their menu recently and I'm not so sure I like the change. Nevertheless, the food is good and when the weather is nice, the outside terasse overlooking the sea is amazing! I have been trying to get inspired to write a new post, but nothing comes to mind. I usually think of stuff to write about based on things I see, read, or things I think of and decide "oh, I should blog about that!". I have been rather busy, which may explain the lack of posts. The weekend was quite hectic (dinner/boat trip (amazing weather)/shopping/family lunch/coffee/another dinner), and so has the beginning of my week (watched a movie last night...The Departed....liked it a lot...great acting by a great cast).